This was a really great book for me! I enjoyed the dark elements and the creepy carnival vibes the most. It was a fantasy that really stood out both because of how the characters were written and the fantastical way the magic was described. All the elements about Gamorrah were absolutely fascinating. I could see so vividly the colors of the different tents, the flavors of the unique food, and the strange way the whole city operated. It is a carnival as big as a city where you can find things as “innocent” as a freak show to things as illicit as assassins. It was a movable city of sin–the movable part interested me the most! It was so interesting when the city was in transition. Elephants and camels would tug these caravans around the people while the city still operated. The heroine of this story, Sorina, is a girl without eyes. She is also a jynx-worker (a very broad term for a person who has any type of magic) specifically an illusionist. Through her jynx work, she is able to see and make others see illusions. She even creates more solid illusions that serve as her family. Sorina is also unique because she’s one main character that knows she cannot deal with everything by herself. She often realizes her limitations and asks other people. I appreciated this aspect because I found it realistic. Everyone believes that Sorina’s illusions are just that, illusions. Then one of them is murdered which forces Sorina into action. The search for the killer is done pretty well and forces Sorina to question herself and have some character development. My favorite part about this book–about most books–is the descriptive language and the little details. I loved how thoroughly the festival was described and how many different sides there were. I loved how each person in Sorina’s freak show family is completely weird in a way that hasn’t ever been done before in any book that I read. The part about Gamorrah being a major political influence in this world was stretching too far for me. I thought that it complicated a good plot and didn’t really play enough of a role that readers got to see. If Sorina, and therefore readers, would have gotten to see the political side, see how the proprietor of the carnival interacted with other cities, it might have been a bigger hit. The hints dropped along the way were pretty obvious and as soon as it was stated, I feel like everyone guessed what was happening. I liked how Sorina knew that being the proprietor of the festival wasn’t something she wanted to do so she gave it up. However, it was like, what happens now? Are the illusions actually illusions or what? Can she bring back the ones that were killed? Carnival books are always cool. 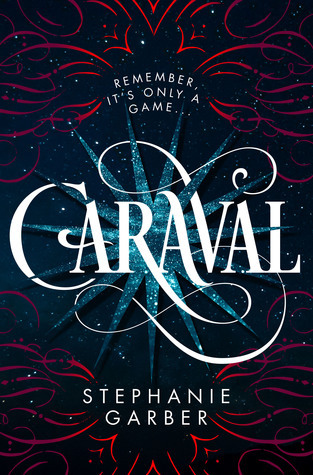 A few that I want to read before… the end I guess haha is Caraval by Stephanie Garber and The Night Circus by Erin Morgenstern. I think carnival books are cool because they allow the appearance of bended reality and magic without actually being fantasy. These both sound awesome and twisty. Have you read any of these books and/or any other carnival/festival books? If so, recommend them to me because they are right up my alley! I love descriptive imagery, what’s your favorite element to read in books? Could you live in a tent? Because I really think I could. Especially those ones from Harry Potter that look so much bigger on the inside and have like lush carpets and cushions over everything. I could live in a tent! Yes I think it sounds excellent and lavish!! 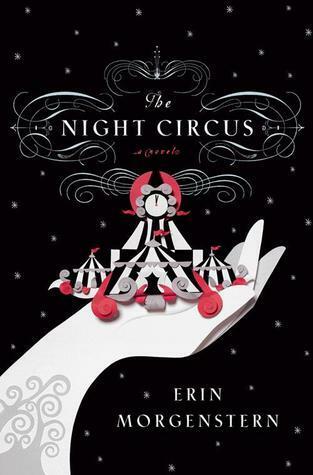 I adored the Night Circus but everything I’ve read doesn’t compare! Lovely review Leah. Then I definitely need to read it! Thanks for stopping by Jeann!